Though Google’s Android platform for mobile devices is widely considered to be the most significant competitor to the iPhone, my review of January 2009 concluded that Android was promising but in need of a hefty coat of polish. On Tuesday, Google announced a preview version of the Software Development Kit for Android’s first major update, 1.5. 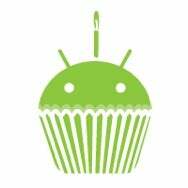 Based on a branch of the Android Open Source Project code-named “cupcake,” version 1.5 aims to smooth many of the rough edges in Android’s inaugural release. The update not only polishes existing functionality, but also adds a number of new features, including major additions like support for stereo Bluetooth using the A2DP profile, an on-screen software keyboard, and video recording and playback. The Android 1.5 update clearly positions the platform as a solid competitor to Apple's iPhone. Though some of the new features—video playback and an on-screen keyboard, for example—are capabilities the iPhone has sported since launch, others, such as stereo Bluetooth, are due to arrive on Apple's platform in the forthcoming iPhone 3.0 update. But some, such as video recording and the ability for users to add third-party keyboards, are capabilities that Apple has made no mention of adding to its device. Google warns that the SDK is not yet finalized and that APIs could still be subject to change, so developers shouldn’t release applications for distribution on 1.5 as of yet; the company says that the final release of the Android 1.5 SDK is due out at the end of the month, but it’s unknown when the software update will reach consumers. The increased functionality and polish offered by Android 1.5 could turn it into a serious competitor for the iPhone, especially if it ends up being released prior to the iPhone OS 3.0 update, which is expected sometime this summer. The release of another major iPhone competitor, the Palm Pre, is also due sometime in the next few months, suggesting that this summer could be a very contentious time for the smart phone market, indeed.